Celebrate with Pogo – Happy Thanksgiving, Canada! A big happy Thanksgiving to our Canadian players! Today Canada gives thanks for its bountiful harvests and blessings with feasting and fun. We’ve got some fun in store, along with a feast of bonus Tokens. 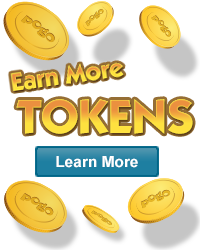 Pogo Bowl is getting in the spirit and sharing 2,000 Tokens!